This year marked the fourth anniversary of the University of Regina’s signature fundraiser — the Prairie Kitchen Party. The University’s Prairie Kitchen Party has a down-home feel that guests love — and it’s for a good cause! 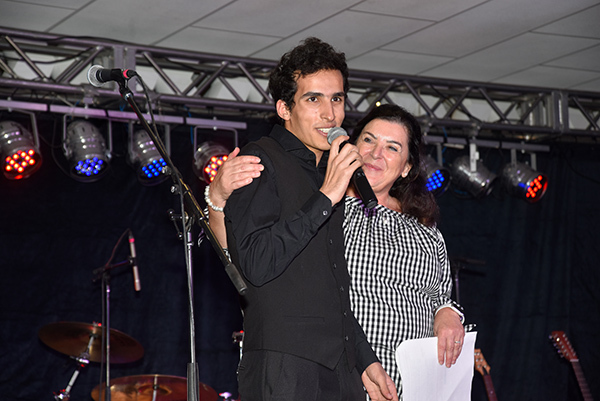 This year, the event raised nearly $70,000 for the University’s Student Emergency Bursary, a special fund to assist students whose continued education at the University of Regina is at risk due to unexpected financial pressures. 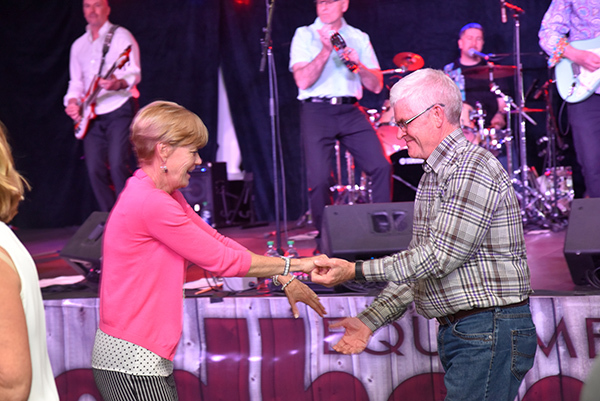 If you haven’t been before, the Prairie Kitchen Party is a one-of-kind night of live music, silent and live auctions, and of course, a delicious Atlantic lobster dinner with all the fixings. The lobsters are flown in from Atlantic Canada for the event and served alongside fresh biscuits, coleslaw and corn. Three words best describe the meal: fresh, delicious, and eventful. If you’ve never cracked open your own lobster before, the experience is one you will not forget! A build-your-own dessert bar complete, with lemon curd, berries, and meringue tops off the meal. The décor is beautiful and instantly transports you to the east coast. You could almost smell that salty ocean breeze! Sheer white curtains, sparking lights, rustic wood and plenty of nautical items — including a working lighthouse — fill the room. Blue and white checkered tablecloths are spread over every table, and the centre-pieces are shimmering steel buckets (to toss the lobster shells in, of course!). No kitchen party is complete without music, and the Prairie Kitchen Party has lively, foot-stomping music throughout the evening. This year, guests were greeted by the sound of fiddling by local talent Scott Benson. 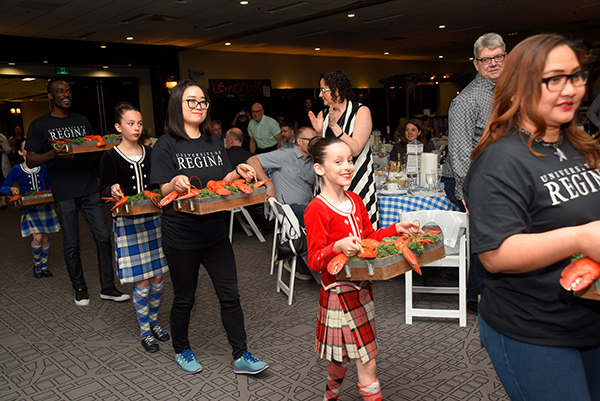 The University of Regina Pipe and Drum band ceremoniously piped in the steaming lobsters while the Summerfield School of Highland Dancers performed, perfectly capturing the spirit of the Maritimes. Jakey’s Gin and Darke Hall Five (a band of University of Regina faculty members) performed for a crowd of dancers into the evening. 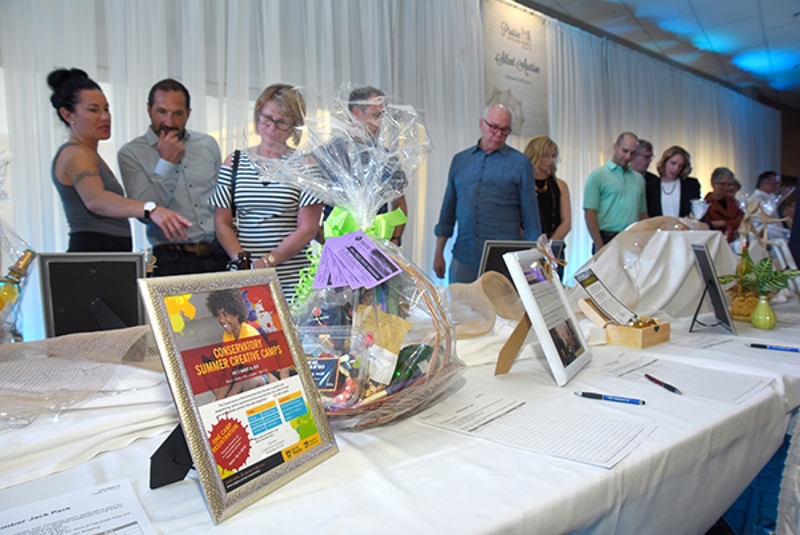 Raffles, silent and live auctions were a huge success with guests taking home experiential packages such as a “Day at Regina Beach,” or a $2,500 travel voucher to St. John’s Newfoundland. Guests left satisfied after enjoying a wonderful dinner and supporting University of Regina students. The funds raised help those like Maja Kralovcova, a former University of Regina exchange student. She benefited from an emergency bursary when unforeseen circumstances put her education in jeopardy. This year’s Prairie Kitchen Party was a great success and a tonne of fun. 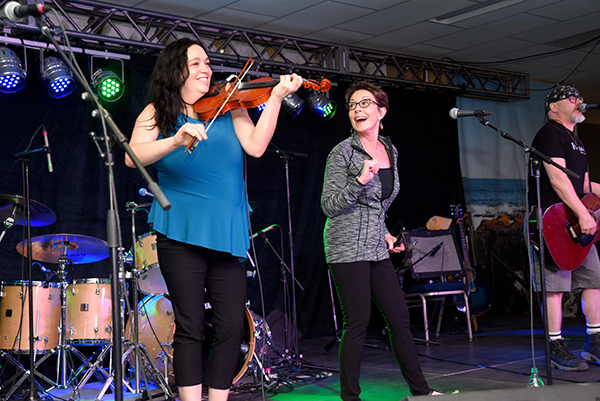 The University of Regina hopes to raise even more funds at the next year’s Prairie Kitchen Party set for May 4, 2019 at the Queensbury Convention Centre at Evraz Place. Stay tuned for ticket information! Photos University of Regina Photography Dept.